Tifanny Abreu made volleyball history when she became the first transgender woman to dress up for one of Brazil’s premier Superliga teams. 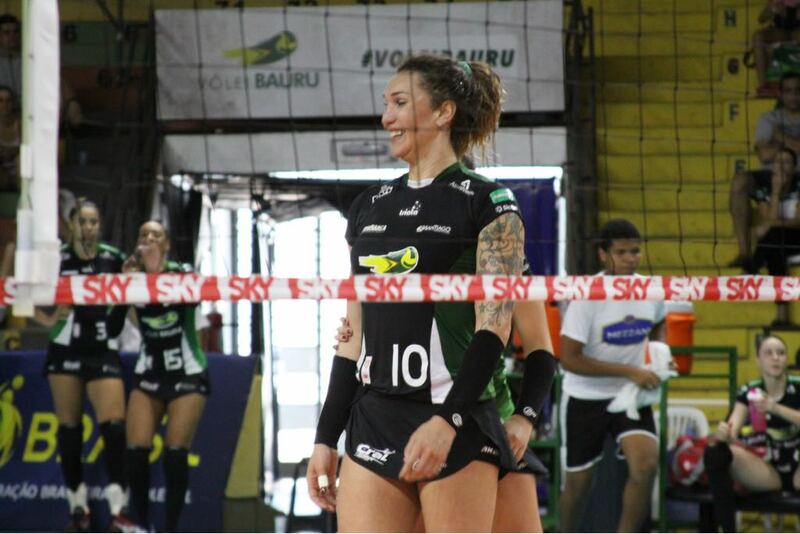 However, her record breaking performances with Vôlei Bauru has been the topic of discussion all over the volleyball community about how fair it is for a trans woman to compete with cis women. In Brazil. the discussion has also drifted from the sports field to the political battlefront, as the country is set to undergo its presidential race in only a few months, with progressives supporting Tifanny’s playing, while conservatives are calling her to be removed from the court. “I’ll tell you the truth, her signing was something that just happened organically, it had nothing to do with a marketing plot or anything like that. She was coming off a serious hand injury and we knew we’d have a lot of work to recover her. We did not think the signing be so controversial to hire her, but we worked within the laws, respecting the clubs, the IOC, CBV and FIVB. “Our Volleyball Medical Committee has followed what is recommended by the IOC. However, I think its directive lacks improvement and this is our expectation with regard to the IOC. The FIVB has already said it will review it. We need to observe from a scientific point of view the impact the differences of a trans athlete’s organism has on the game. Simply limiting testosterone values seems to me very inefficient. Even with hormonal control, Tifanny seems to me to have an advantage. She’s scoring a lot. We can not say how strong she is. How much more speed and power has she lost? This was not measured, it was not quantified. I think you need to quantify these things. She is undoubtedly at an advantage. “I respect her story, for society it is very important, to spearhead such a movement, she is a person I respect a lot. However, as to her playing with women, it’s a tricky subject. I did some research on the subject, talked to a lot of people about it, and I believe I have gathered enough evidence as to not agree with her playing in women’s volleyball. We need to be able to differentiate prejudice, bigotry, and phisiology. Tifanny developed as a male. Her lungs are bigger, her heart is bigger, her hips are smaller, so it’s much easier for her to jump. It doesn’t look like the controversy will end any time soon. The IOC is set to review its regulations on transgender athletes’rights after the 2018 Winter Games.